TopJet is starting an entirely new era of compliance-free teeth distalizing. This is an orthodontic distalizer which moves molars backwards, causing protruding incisors to move back into the tooth line. 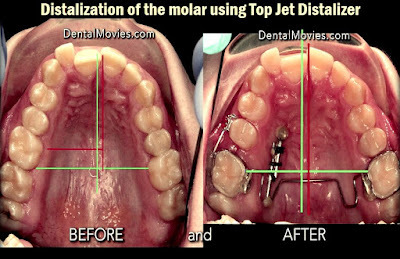 The extraction of permanent teeth can thus be avoided. The device combines easy installation, taking no more than a few minutes, with invisibility and comfort once in place, thus satisfying both the practitioner and the patient.